Form 667B. This lists the kit issued to LAC T.A.D. McAllister, service number 1322437. 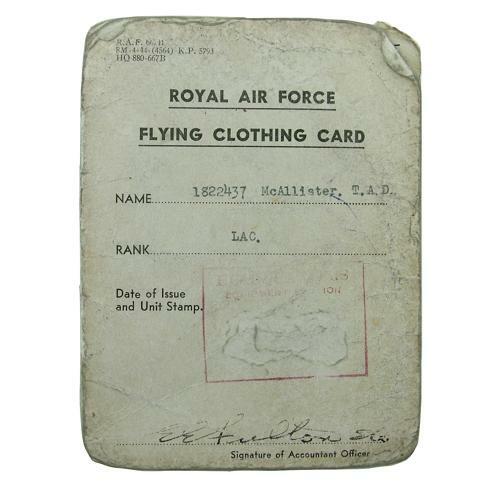 It included boots, flying cap, goggles, inner and outer flying suits, wool and silk goves and jacket/trousers type E. These were either issued or returned on 6 July 1945. A bit tatty and worn. Stock code P22993.